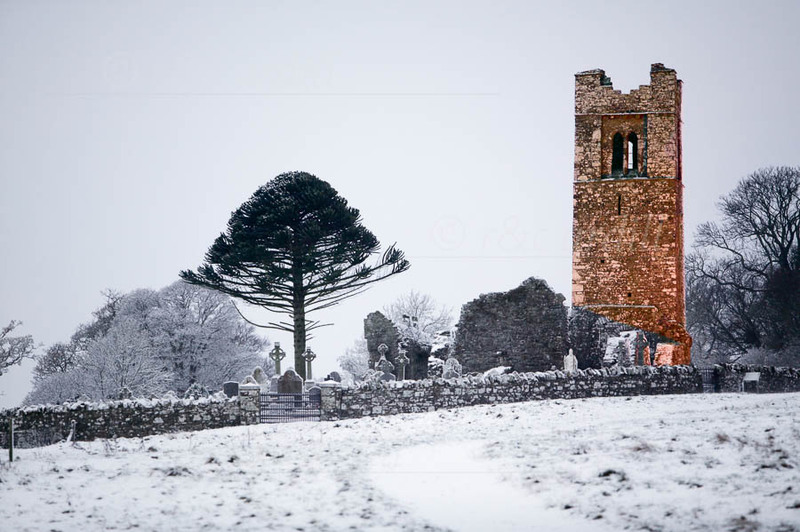 A winter view of the 15th Centrury Slane Abbey (or Monastery) at the top of the Hill of Slane. The tree is a Chilean pine. It and the Abbey can be seen from miles around as the Hill of Slane rises high above the Boyne Valley and surrounding plains. The tower is illuminated, which makes it stand out in the bleak landscape.